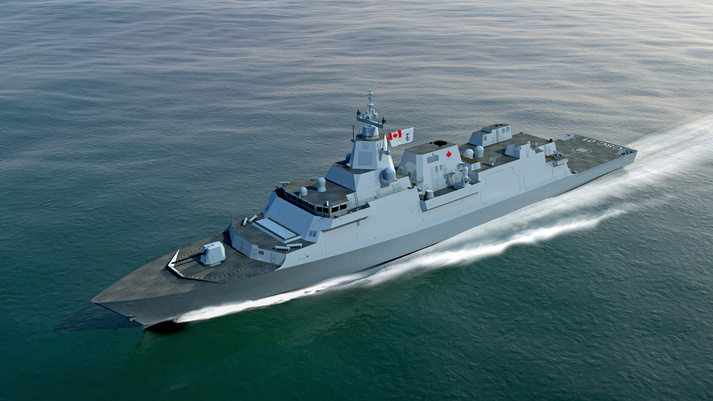 With just under two days remaining before the deadline for the submission of Request for Proposals (RFP) for the design of the Canadian Surface Combatant fleet, Canada’s Combat Ship Team has announced the delivery of its proposal. 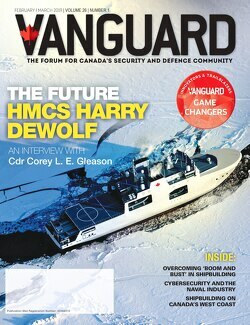 Comprising of BAE Systems, CAE, Lockheed Martin Canada, L3 Technologies, MDA and Ultra Electronics, Canada’s Combat Ship Team’s proposal is focused on the “Canadian doctrine” according to Rosemary Chapdelaine, Vice President and General Manager at Lockheed Martin Canada Rotary and Missions Systems (RMS). “It’s about assembling a Canadian team and having a Canadian pedigree that will deliver the right ship for Canada,” Chapdelaine said. She explained further that their solution is one that their employees and partners are passionate about. The motivational factor behind this drive for the parties involved is about the future of their children. The team which is headed by Lockheed Martin Canada is offering “the most advanced and modern” warship design from BAE Systems – the Type 26 Global Combat Ship – along with innovations from other leading companies in Canada. Lockheed Martin Canada will provide its world-renowned Canadian-developed combat management system, the CMS 330 to integrate with the Type 26. “The Type 26 Global Combat Ship is a flexible, next-generation warship design which offers a low risk and affordable solution for the Canadian Surface Combatant program,” said Anne Healey, Country Director, Canada, BAE Systems. The Type 26 Global Combat Ship has been selected by the Royal Navy and the first of eight planned ships is currently under construction in the UK. “With the UK Type 26 program running ahead of CSC, our Canadian ship will benefit from lessons learnt on the UK program,” Healey added. Years ago, when the Combat Systems Integrator and Warship Design were two separate streams in the CSC program, Lockheed Martin as the only qualified Canadian Combat System Integrator conducted an in-depth analysis of the different warship design platforms. This was done to see what was the best option available to integrate their CSI. “Our strategy was to conduct this trade study to find out what ships are available for CSC, and then to select what we think is the best ship for CSC,” said Gary Fudge, Program Director at Lockheed Martin Canada. After a comprehensive analysis which included working with an independent third party to evaluate each warship design platform, the Type 26 design was selected as the best platform to integrate with Lockheed Martin’s CSI. After the government made the change to combine both the Combat System Integrator and Warship Design, Lockheed Martin decided to conduct another study. Based on the new study, the Type 26 came back the best platform for integration with Lockheed Martin’s CSI according to Fudge. “What’s important to note, is that there is nothing on the Type 26 that is obsolete,” Fudge added. Due to the no obsolescence in design, the Type 26 offers the lowest risk to build in Canada, according to a release from Lockheed Martin. Other factors that aided in the selection of BAE’s Type 26 by Lockheed Martin as their partner, are the wide range of roles that the ship can perform, from high-intensity conflict to humanitarian assistance, including anti-submarine warfare and air defence. It is also flexible, versatile and highly survivable with an extremely low acoustic signature, according to the release. The other members on Canada’s Combat Ship Team will provide solutions ranging from training by CAE, electronic and sensor systems by L3 Technologies, large complex sensor systems by MDA, and underwater warfare products by Ultra Electronics Canada. “Our approach is about providing a Canadian solution that meets the Canadian doctrine versus forcing a native in-country solution in making it a Canadian solution,” said Chapdelaine. Canada’s Combat Ship Team submitted its proposal for CSC in two formats, electronically last Sunday evening and in hard copy to Irving Shipbuilding this morning in Halifax. The Canadian Surface Combatant program is the largest, and most complex procurement being undertaken by the Government of Canada in providing a fleet of new warships for the Royal Canadian Navy. The estimated completion of the procurement process is scheduled for 2018 and the start of ship construction is scheduled for the early 2020s.